Vitamins are organic substances that are essential for normal metabolism, growth and development. They are not energy sources, and they do not make any significant contribution to the substance of the body. They are, however, indispensable for good health. To maintain the integrity of the skin, the body needs vitamin A, as it is heavily involved in the growth, elasticity, strength and repair of surface tissues. 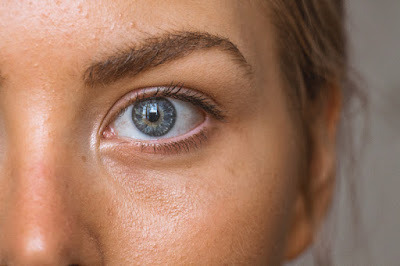 Topical application of vitamin A in the form of retinol can reduce shallow wrinkling of the skin and aid in the repair of damage due to overexposure to the sun. Find a reliable source of retinol, the animal form of vitamin A. Liquid is easier to incorporate into your skin-care regime than solid forms, such as capsules. Most pharmacies carry retinol. If you're unable to find a local source, it is available on the Internet. Alternatively, use standard vitamin A, which can be found in the vitamin section of the supermarket. Remove two teaspoons of moisturizer, and place the product in a small bowl. Be sure to select a brand that has been formulated for use on the face, or it may clog the pores and cause pimples. Add ¼ teaspoon of retinol or crushed vitamin A tablets to the moisturizer, and stir until both products are thoroughly blended. Use fingertips to apply cream to the face, smoothing in gently with soft, upward strokes until all affected areas have been covered and moisturizer has been completely absorbed. Choose natural products if you're not comfortable using retinol. Make a moisturizing mask by combining dry milk, plain yogurt and egg yolk. All three are natural source of vitamin A. Simply place the ingredients in a bowl, and stir with a fork until smooth. Then spread over your skin and leave in place for 30 minutes. Rinse away with warm water and pat dry with a clean towel.